“Dandelion tea can have many positive effects on your digestive system. It improves appetite and soothes digestive ailments,” says Dr. Ritika Samaddar, Head of Dietetics at the Max Super Speciality Hospital. “According to various studies, dandelions aid our digestive system by maintaining the proper flow of bile. Dandelion tea helps with mineral absorption and soothes the stomach lining. The role of our liver is to produce bile (which helps enzymes in the body break down fats into fatty acids) and also to filter and detoxify our blood. “The vitamins and nutrients present in dandelions help in cleansing and maintaining the proper functioning of our liver. “Dandelion tea has a natural diuretic effect as it helps in removing excessive fluid from the body and thus relieves bloating. It allows your liver to eliminate Toxins. “Dandelion tea is packed with antioxidants. Antioxidants are substances that help in preventing certain types of cell damage. The body uses antioxidants to fight free radical damage, which is very dangerous for the body’s tissues and is connected to cancer and premature aging. Luckily, drinking dandelion tea helps the body avoid cell damage from free radicals. “Various studies have shown that dandelion tea lowers levels of blood sugar and can in turn treat diabetes. It removes excess sugar that is stored in the body due to its diuretic properties and helps in stimulating the production of insulin from the pancreas. dandelion tea contains anti-cancerous properties. 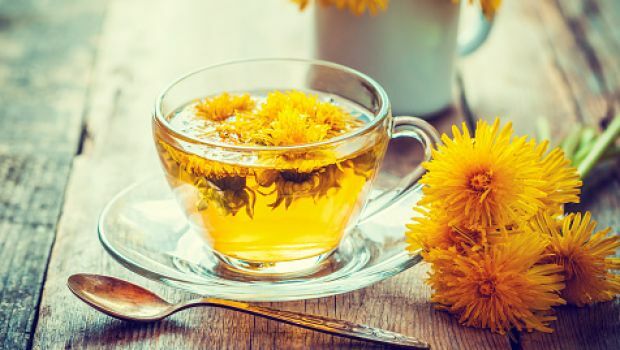 A study conducted in 2011 by the Department of Chemistry and Biochemistry at the University of Windsor in Canada found that dandelion root tea was effective in killing different types of cancer as a result of its free radical-fighting abilities. The Amazing Benefits of Bananas!